Travelling with young children, bulky bags or just running to a tight schedule? Take the smart option for your Luton Airport parking with Premier Meet & Greet. Skip the transfer bus and head straight to the airport’s Multi Storey car park. Once there, unload your bags and take the two-minute stroll to the nearby check-in desks while your car’s parked for you. And, because APH only works with reputable providers, you can rest assured your car will be looked after in a security-protected compound that’s holder of the police-approved Park Mark Safer Parking Award. Add your dates now for an instant quote for your trip from Luton Airport. With just a short walk to the terminal there’s no need for transfers. While away, your car will be parked in a secure Park Mark accredited compound protected by 24-hour CCTV, floodlighting, 8ft-high perimeter fencing and security barriers. This service is suitable for users with mobility issues. 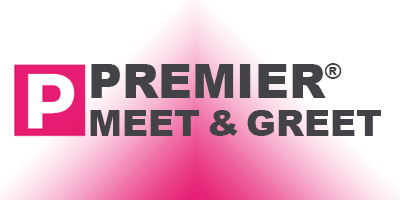 Premier Park and Ride Meet & Greet operates inline with flight times to and from Luton Airport. Premier Meet and Greet has a height restriction of 2.1m. Vehicles larger than a Transit-type van, Long-wheelbase vehicles vans, caravans, camper vans, minibuses and trailers are charged at £4 per day extra. This is payable on entry directly to the car park. Take the third exit at the motorway roundabout if you’re coming from the south and the first exit if approaching from the north. Follow New Airport Way and then head straight over the roundabout. From there follow signs for the Multi Storey Car Park. Enter Level 3 of the Multi Storey Car Park head for the Meet & Greet area. You will be met by an Premier Meet and Greet driver who’ll complete the paperwork and check-in your car. Your car will then be driven to the secure Airport Parking Luton compound. This service is operated under the Swift Meet and Greet banner. On arrival to the meet and greet area, you will see signs for Swift Meet and Greet. You are in the right area. We recommend you allow sufficient time to complete the hand over process before proceeding to the terminal. Return to the Meet & Greet Area where you dropped off your car. Once back, you will be reunited with your vehicle and be free to continue your journey.